So far so good in 2014! But it’s only been 3 days you say. A day at a time, I say. 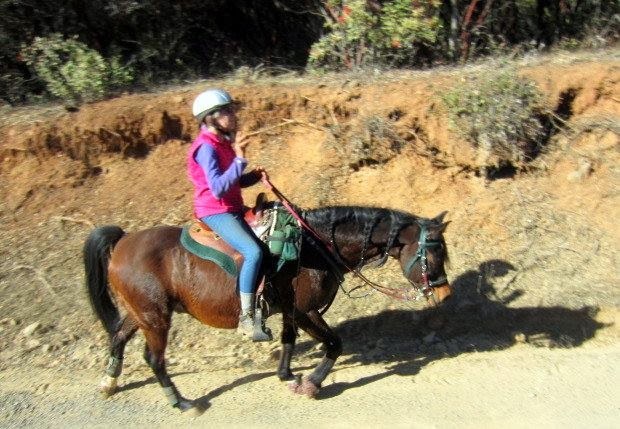 This was yesterday, when N came to my house for the first time and I took her riding out my front gate! 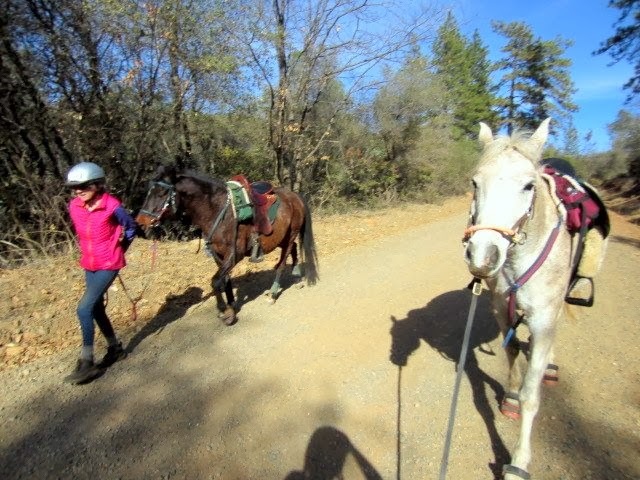 We rode up the big hill for a nice 7 mile out and back with Blaze and Scrappy. Still figuring out the Frank Baines fit or lack thereof. Promising? I LOVE riding in it and Scrappy moves wonderfully in it. Used a different saddle pad and got different sweat marks but it was a way hillier ride..le sigh..am having a certain kindly knowledgeable Boots n Saddles person take a gander at saddle fit tomorrow on a birthday lake ride for her!! Hooray for 2014 (so far)! Looks like a beautiful day for a ride. Cold, icy and winter here in Oklahoma. ” certain kindly knowledgeable Boots n Saddles person take a gander at saddle fit tomorrow…” Hahahahaha. For as much good as it did you….